Friday, November 23, 2012, I read a post on twitter about the Central Park Five and I started to randomly search for anything that might have been written about it. I’d heard about a documentary coming out some time ago but had forgotten about it because I hadn’t heard anything else for months. I found the documentary’s trailer on YouTube and started researching Sarah Burns who had written a book about the case. I went to The Strand website to see if they had any copies as the book was released earlier in the year (2012). The Strand had only one copy listed in their inventory. That really meant one copy or more likely, none. This was going to be a stretch but I figured it couldn’t hurt to check to see if there was truly a copy available. I didn’t mind searching as I love visiting The Strand because I always leave with something new to read, anyway. I made it to the bookstore and offered one of the specialists my printout of the book details, making sure to point out that “the computer says y’all have one copy available.” The specialist was very helpful and ushered me over to the law and criminal justice area. I looked through and couldn’t find it. I was determined to find this one copy and I had to have looked at those shelves for about 40 minutes before giving up. I started to walk off but then went back. I went through each book by tapping them to make sure I wasn’t rushing and missing the book out of haste. All of a sudden, there it was. It was there. I found it! 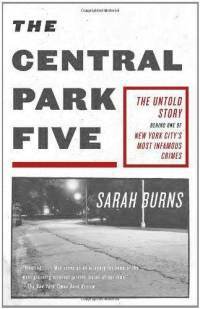 A single copy of The Central Park Five by Sarah Burns was sitting in between 2 larger books which was probably why I had missed it. I remember this case profoundly because my father had always said those boys hadn’t done it. My parents both followed the case and purchased The Amsterdam News religiously to follow the commentaries on what everyone was saying about it. I was about 11 or so but I distinctly remembered this case because one of the boys on trial had the same name as my own brother, Yusuf. Like everyone who followed and knew that the convictions had been vacated in 2002, we were excited and happy for the five men. But at the same time, there was a bitterness. These boys had spent time in jail, and suffered under a scrutiny that wasn’t theirs. What about the others who are in jail for something they hadn’t done? The night that I purchased the book, I made my way to West 4th to catch the A to Queens. As I’m waiting on the platform, The E train pulls up and I see a familiar face exit the train. It was Yusef Salaam. He was walking with Sarah Burns, and Kevin Richardson and Antron McCray were walking behind them. I looked around to see if anyone else saw or even realized what I was seeing and who these people were. Standing there dumbfounded, I watched the group make their way to the turnstiles. It was only after I watched them exit, did I consider that I should have said something or even asked for my brand new book to be signed. It didn’t occur to me that the documentary was showing that night at the IFC theater and that they would be giving a Q and A session. Made sense. I finally went to see the documentary a few weeks later. As a mother of a promising young black man and even as a sister to black men, this documentary hit home. I watched the video footage of the confessions and I just felt sick to my stomach. Even I could see that something wasn’t right with those confessions. While watching the documentary I kept thinking of how adamant my parents were about those boys not committing that crime. It all made sense. When I finally reached my parent’s house, I told my mother about seeing them and almost wanting to cry to see that they were free and that their story was being told. They were the lucky ones, believe it or not. They actually lived to see the truth come out. It was so overwhelming that I told everyone that would listen. I even text a friend on the train ride home about it. His response was – “stop texting me and go write it down.” I couldn’t write it at that time though. I was afraid of awakening similar emotions of when I had to visit my own brother in jail. I have the book still but I haven’t read it yet. Honestly, I’m afraid to read it. It’s a true horror story that could have been any of my own beloved brothers. There were moments when my mother and I had to do the jail visits and it was always heartbreaking. No matter how many jokes we made at that plastic table, when the CO came by and tapped the table, that’s when my heart would break. And instead of being strong for my mother, she always had to calm me down because I didn’t want to leave my brother there. These realities make it difficult for me as a mother to release my own son into the world. As parents, we always feel like we know better. 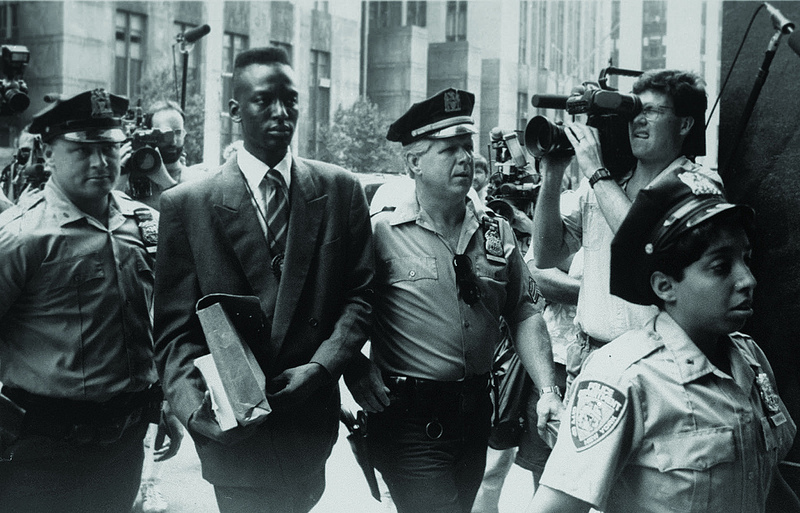 Instead of hovering over my son though, I try to show him these cases – The Central Park Five, Yusef Hawkins, Amadou Diallo, etc, so that he is aware and so he can know that these are not stories to scare him but for him to be aware that this world is not nice to everyone, especially his kind. As a black man, he has to always be prepared. As a result of seeing the documentary, I have truly considered keeping a lawyer on retainer just because. This can’t be life though…. 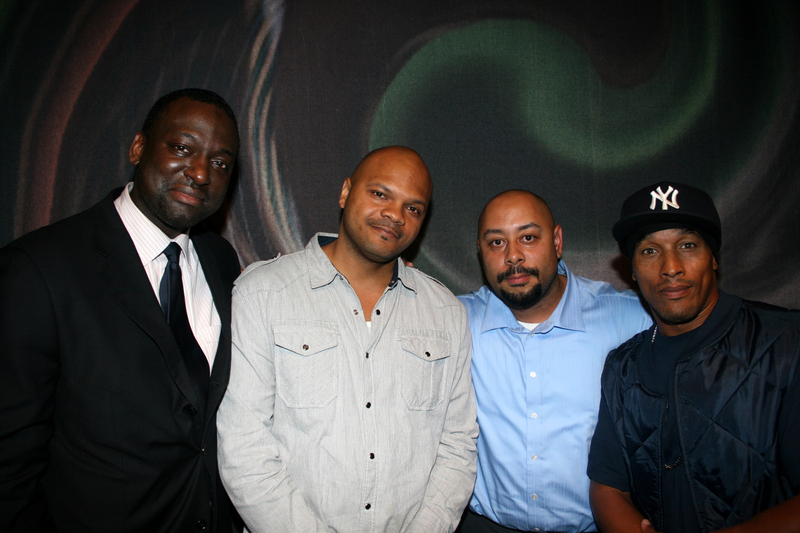 @SaiPie @santanaraymond we appreciate you. Thanks for what you wrote and being you. That's what's up!!!!! Salute!!!! !